Juice Smoothie Outdoor Wheels are made from the very best urethane available & come in four great flavors to keep you rolling with the best ride on all kinds of outdoor surfaces. Smoothies also have a urethane hub & unique concave design on the back of the wheel to further help with grip. 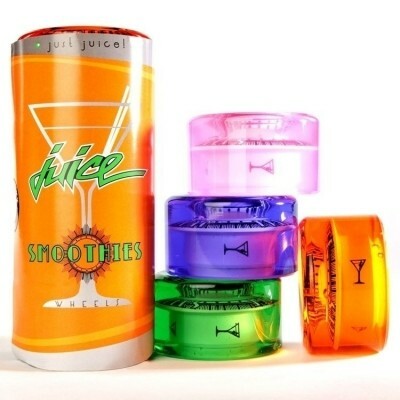 Whether you are working out for your next derby bout or just enjoying the great outdoors with friends, Juice Smoothie Wheels are the perfect accessory for that outdoor skating experience!